katebedwellI love learning from the experts of the industry, whilst being the ambassador for @CampoViejo! Yesterday @anthonyrosewine spent time taking a bunch of #winelovers at #WineGang17 through Spanish classics #CampoViejo Cava & #GranReserva. Glad I could be a part of it, sharing tips on how to enjoy @pernodricarduk wine brands to 600+ folks in London! 🍷 if you’d like my job and you’re in UK/EU, you can apply now! See @prfuturevintage to apply. 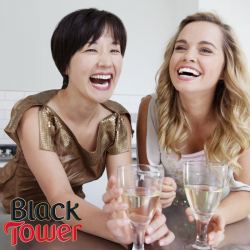 Next PostNext Black Tower targeting young mums.